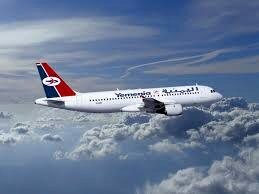 Yemeni Airlines has announced that they will begin direct flights by the mid of Feb, between Dubai and Socotra. An A320 aircraft will join the Yemenia fleet in the next few days, with two new air-crafts expected to join by May 2015. Despite the difficult situation in Yemen, Yemenia is planning to expand its fleet and fly to more regional and international destinations. “The new aircraft will add more value to Yemenia’s current operations,” said Mohammed al-Makhlafi, Yemenia’s commercial manager. People from around the world consider Socotra a great tourist destination. In a visit to the island last month, Al-Makhlafi revealed to the people of Socotra and the travel agencies that Yemenia would double its flying schedule to the island, both domestically and internationally. Al-Alwani is expected to improve Yemenia’s business over the next years. “We have managed to reduce the total ineptness by 75%,” he claimed. “This process has kept the well-respected reputation of Yemenia. We look forward to the country escaping its current political crisis so that we can continue our commercial plans.” Concludes the chairman.